Initially working in the live-action film industry, Masahiko Otsuka joined the animation industry as assistant director for Studio Ghibli's "Pom Poko" in 1992. 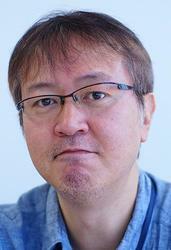 He then moved on to Studio Gainax; participating in many acclaimed titles such as "Neon Genesis Evangelion" (episode director) and "Gurren Lagann" (co-director). In 2011, Masahiko Otsuka and Hiroyuki Imaishi left Gainax to establish their own animation company, Studio Trigger. Otsuka's most recent works include "Kill la Kill" and the "Little Witch Academia" series.